Daniel Sturridge has been named as one of three strikers that AC Milan are looking to snare in January – along with Divock Origi and Tottenham’s Vincent Jansson. Origi is not a shock name to be linked with a move away despite his Everton heroics, but Sturridge has found a role at the club this season and seems to be happy enough with a rotation position in the squad. He no longer has the pace he once had, but has so far stayed injury-free and still has the quality touches that make him a top player on his day. La Gazzetta dello Sport, via The Mirror, claim Milan were wanting to resign Zlatan Ibrahimovic, but since that move has broken down, have switched their attention to the Premier League. 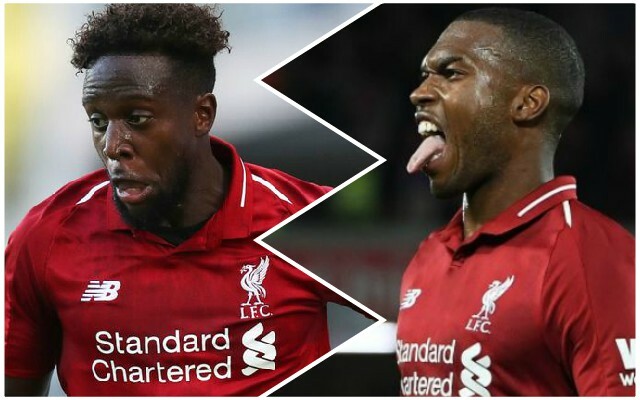 One thing is for sure: Jurgen Klopp won’t be letting both Origi and Sturridge go in January. An Origi switch seems likely, but whether Milan are the destination remains to be seen with Wolves also reportedly keen.